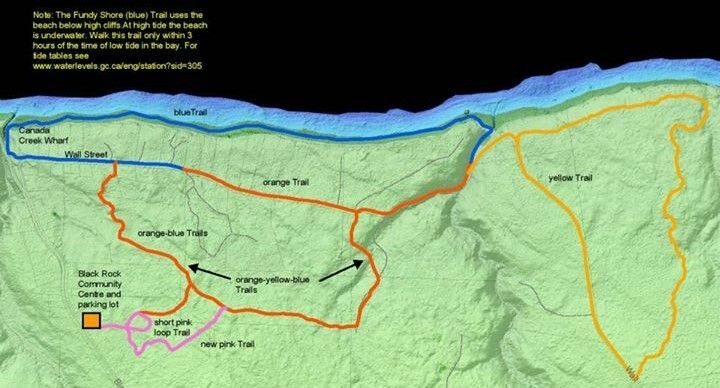 A unique collection of forest and shoreline trails located in the Eastern Annapolis Valley about 30 km from the shire town of Kentville, Nova Scotia. 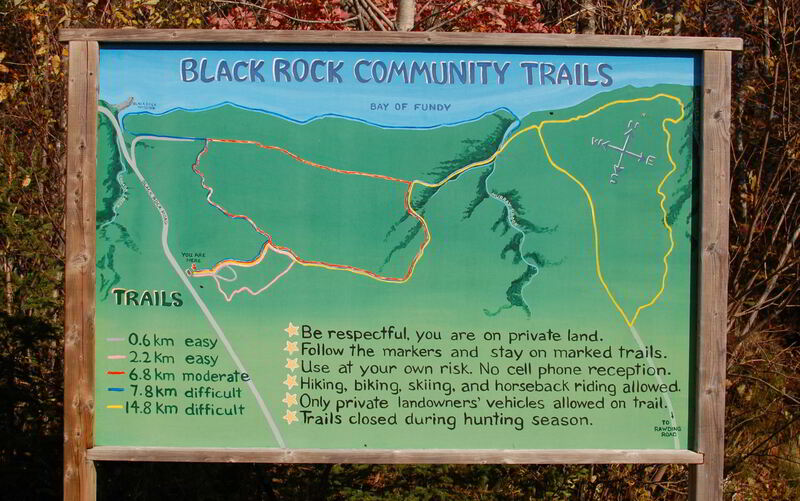 The starting point for most hikes is just behind the Black Rock Community Centre located on 4404 Black Rock Road. Highway 101 serves the Annapolis Valley, linking Halifax to the Valley and south-west Nova Scotia. 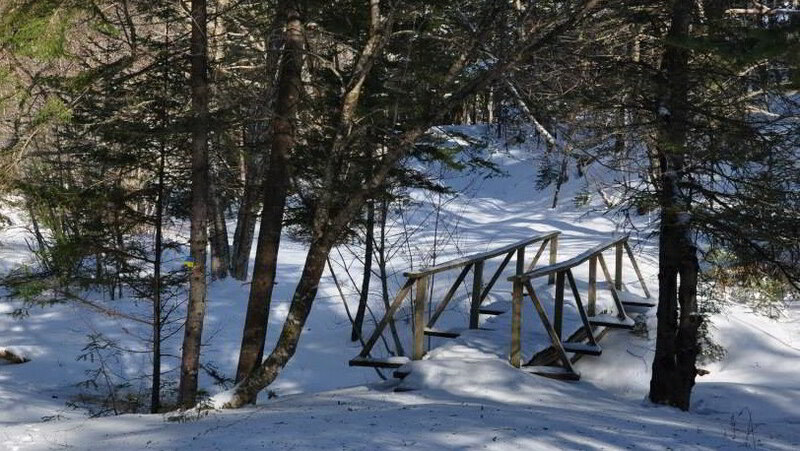 To access the trail system, take exit 14 (travelling from Halifax), or exit 15 (travelling from Digby). 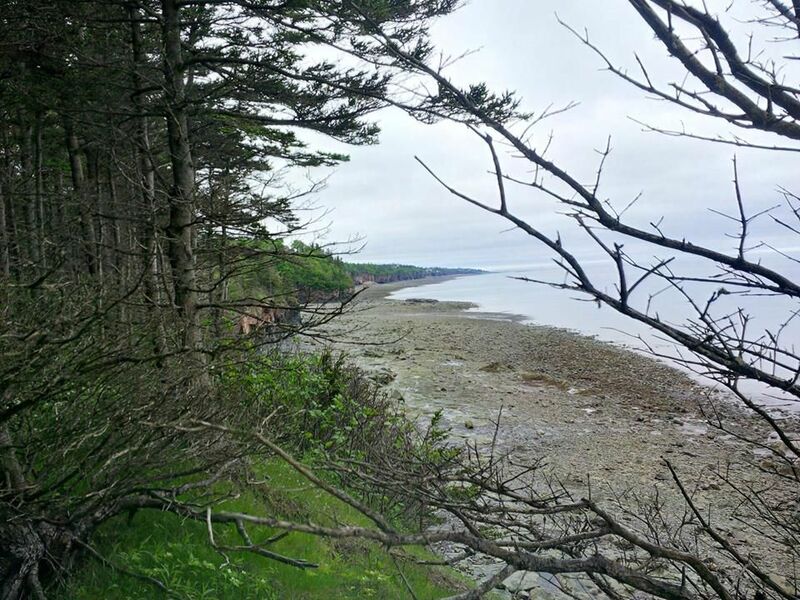 Follow Hwy 1 east (from #14) or west(from #15) and look for the signs for Black Rock. Follow Black Rock Road about 15 km to the trail head.